The new family-friendly XO Tablet debuts July 16 on Walmart.com and will be in Walmart stores on August 1, and will provide kids with a fun and exciting new way to build, learn and dream at their own pace via a powerful Android tablet packed with free educational games, apps, videos, e-books and more. The flexible tablet also grows with the family offering up to three separate user accounts plus full-fledged Android tablet functionality with parental-controlled access to conventional Android apps and the Google Play store. 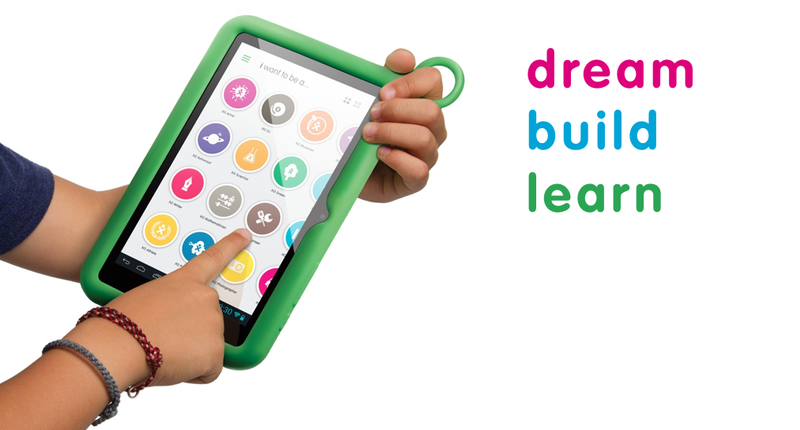 The only multilingual (English/Spanish) and Google-Certified tablet for kids on the market, the XO Tablet and on-board XO Learning System were designed and developed by One Laptop per Child (OLPC) to harness the power of a touchscreen device to create new ways for children to learn. The tablet’s child-friendly interface, cover and packaging were developed by legendary designer Yves Behar and his team at the Fuse Project. Priced affordably at just $149.99 MSRP, the XO Tablet from Vivitar features a 7-inch 1024 x 600 dpi hi-resolution screen and a 1.64GHz dual-core processor running the latest Android Jelly Bean OS with nearly 8 hours of battery life to deliver a high-performance user experience at an exceptional value. The tablet will also be available in Canada and Europe in the French and Italian languages later this year. XO Learning System content has been curated and selected for age-appropriateness and learning value by OLPC in collaboration with Common Sense Media, a leading non-profit organization dedicated to helping parents and teachers make informed decisions about media. Additional OLPC partners include Oxford University Press, Discovery Kids Puterbugs, TED, Story Emporium, MyCityWay, Pipo Ceibal, Little Pim, WeWantToKnow-DragonBox+, JokerWare, Zeptolab, Brain POP, Kids Yoga Journey, Bankeroo, Sesame Street and others. The XO’s unique Dreams interface lets kids explore more than 100 free pre-loaded apps, games, books and other content over a $250 value based on subject areas, interests and skill level. Children can choose their own learning adventure depending on what they want to be today, or when they grow up. Options like “I want to be an…” XO Artist, Engineer, Chef, Mathematician, Musician, Teacher, Traveler and more give kids a wide array of activities to choose from with content created by world-class partners. The XO Tablet is designed to help parents become actively involved in their child’s tablet use and learning progress. With support for up to three user accounts, parents can set specific permissions for each user to control access to apps, the Internet, games and Google Play. These password-protected privileges can be adjusted anytime as the child matures to offer wider access and more capabilities. With the innovative XO Journal tool, parents can gain unique insight into how each child is using the device, how much time they spend on each app, and where their interests and strengths lie. Parents can even view each child’s learning progress and how their performance compares to other children of their age. I would like to know when the french version Will be available and Will it be a download or a specific tablet for french ? please shall have a x-o4 touch i want it for my educational purpose please i need help i am student from Ethiopia i want to become advanced student but the situation in my country is not such like comfortable to get modern instruments of education so please us you know on our country we doesn’t get such like experiment based education we got only theory based so please if you can i want to download experiment videos from internet which is near our home in university but i have no laptop or tablets that helps me on my search so please i am asking you even any old laptops or tablets if you have please send to me through my mailing address . is the xo kids tablet compatable with the furby boom app?